Most travel bloggers take their first steps in the world of professional blogging as a natural evolution from a blog that was started to keep their family and friends updated about their adventures. When I first began this blog, I did it purely for the love of sharing stories from my travels with anyone who’d care enough to read them and hopefully show others that travel is possible even if you’re not super rich or have a full-time job and other responsibilities. I had no idea that bloggers could actually make any money out of their blogs or get sponsored in any way for travel. Back then, just like a lot of other bloggers, I started on a free WordPress.com site. I had zero technical skills and I had no idea what ‘self-hosted’ was. Five years later, I’m proud of the fact that my blog earns a lot of compliments on its layout and design because I’ve literally done every single thing myself. From designing my blog, media kit, and business cards, learning about the technical aspects on the backend, and moving hosts twice, most recently to SiteGround (who it seems are better equipped to handle traffic surges and avoid downtime than my previous host BlueHost). It has been quite a learning curve. Now five years later, I’ve worked with tons of hospitality and travel brands and tourism boards on campaigns that involved enjoying perfect sunsets in the cascading infinity pools of luxury resorts in Greece, eating my way around Italy with a local tourism board, following in the camel tracks of Lawrence of Arabia on an SUVs road trip across Jordan, and discovering Romanesque heritage and architecture across Europe with the Council of Europe. This isn’t meant to be a humble brag, just a case in point that if little old me can do it so can anyone who focuses on quality content and does not give up. Over this time, I’ve learnt so much about how bloggers and brands work together by aligning their objectives and although it can seem really intimidating at first, this is something you should really think about if you consider yourself (or want to be) a professional blogger. How to get your blog sponsored? How to get sponsored posts from legit brands? How to get sponsored accommodation when you travel? How to land a press trip? If you’ve ever had these questions, then grab a cuppa, settle down, and take your time to go through this 3000+ word post that I wrote as a way to pay it forward to the amazing blogging community (where for every secretive blogger you’ll find at least five others happy to share their methods) and to answer questions that I get asked all the time about getting one’s foot in the door of professional travel blogging. Why Should You Work With A Brand? Are Press Trips Really the Holy Grail for Travel Bloggers? Think hard and deep about your own brand- your voice, style of travel, audience and what kind of information or resources they’re looking for. Then do your research and find brands that provide these products, services or resources and are at a similar growth stage as your blog. 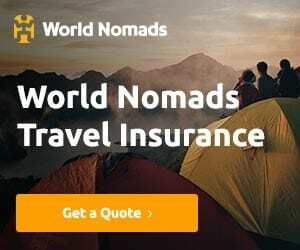 For example, if you blog about budget adventure travel and your blog is a year old, think about approaching hostels or unique budget accommodation that are relatively new (like you), or an adventure company that sells budget travel gear. If you write about wine and travel, then get in touch with wineries for a review. If your blog is about yoga and travel, then think in terms of yoga studios or lessons and yoga merchandise- you get the idea. Whether it’s you who’s being proactive or a brand that’s reaching out to you, don’t say “Yes” to everyone just because they offer you free stuff. As a travel blogger, I get tons of emails a day about skincare products and fashion merchandise but it doesn’t make sense for me to feature or review them unless they’re functional for travelers. 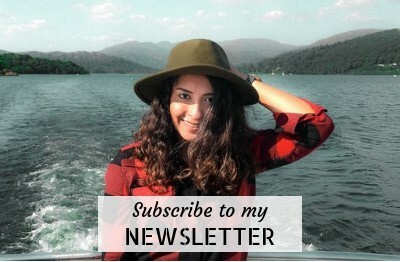 On the other hand, invite me on a hiking trip, partner with me to promote hiking gear, or ask me to review a hiking retreat resort and I’m super happy to do that because I love hiking and that’s why it’s one of the main areas of focus on this blog. You don’t want to shove irrelevant and uninteresting things in the faces of your readers for a goodie bag or $50, do you? There are a number of reasons why you might choose to work with a brand and an equal number of valid reasons why you might not want to do this. 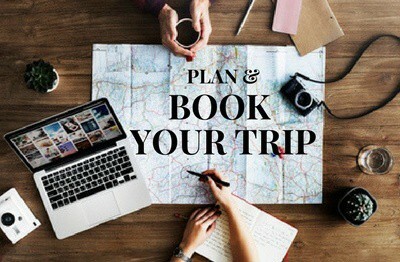 But considering that a travel blog rarely pays for itself, working with brands gives you a couple of ways to monetize, get sponsorship for travel or give a little something back to your community of readers and followers. 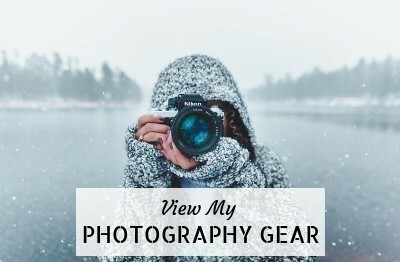 You might approach a company to do a gear review post on your blog and social media promotion in exchange for financial compensation or free gear. Of course, once you’re big enough to provide greater value, you might even ask for both in exchange of the review. 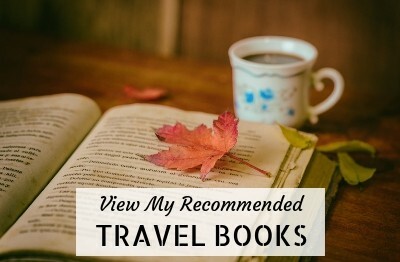 While visiting a new city, you might learn of a tour company running innovative tours in certain offbeat neighborhoods and you might ask them to host you in exchange for a review and possibly a giveaway to your readers. Working with brands is not only about financial compensation or receiving a complimentary product or service, it’s about using your skills, whether photography, writing or video (or all three) to build a relationship, generate additional opportunities for yourself and create a stronger identity for your own brand. 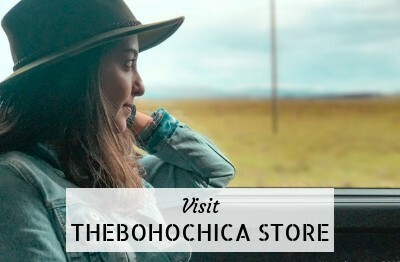 Approach brands that are relevant to your travel style. If you blog about budget travel, don’t seek out high-end luxury brands. Be aware of the reach and engagement of your blog and find a potential sponsor who would be okay with it. If you’re just starting out, it’s unlikely that a luxury five-star chain of hotels would be interested in working with you. Back when I was taking my baby steps in the world of travel blogging, I was surprised to learn about press trips, blogger trips and FAM (short for familiarization) trips. 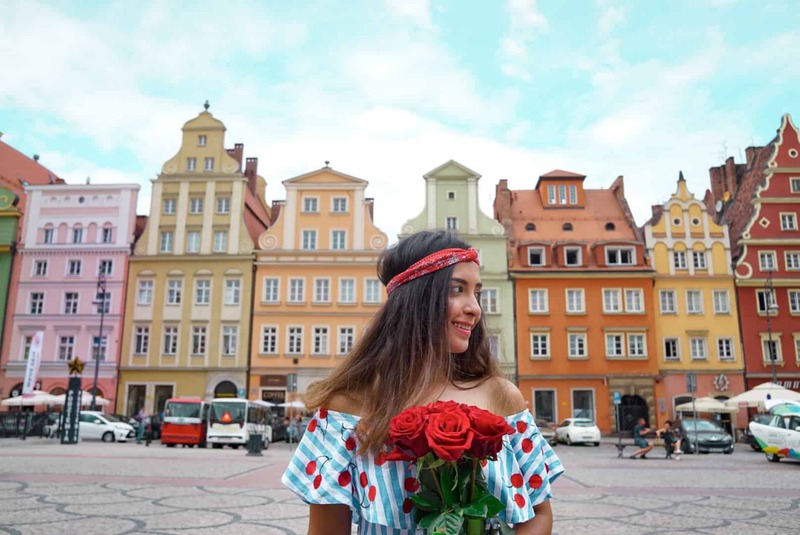 It seemed amazing that brands actually took bloggers and influencers on trips for free! But it was only when I started going on them, did I realize that there really is no such thing as a free lunch or a free trip. In fact, the use of the word ‘free’ in connection to press trips is a gross misrepresentation of the work that is rightly expected of professional travel content creators including bloggers. On a press trip, the professional travel blogger is busy taking notes and photos, learning about the subjects of focus or themes of the trip- whether it’s architecture or food, experiencing adventures, asking questions, investigating, discovering and exploring all that is new and interesting. He or she is also promoting the destination with constant social media updates on multiple channels. This is a lot of work- a lot more than you can imagine and a lot more than you would take on were you traveling on your own- at your pace. 2.30pm Arrive at lunch spot. Take photos and make notes, post, then lunch. 8.30pm Drive to our base for the night. 9.00pm Arrive to the hotel, check-in and freshen up to meet in 15 minutes for dinner. Yes you need to be super-girl. No, there’s no time to curl your hair. 9.15pm Meet in the lobby to go out for dinner, you might be walking or driving ten minutes. 9.30pm Dinner. Take photos and make notes, post, then eat and drink. Don’t forget to mingle with the tourism board/marketing agency rep, hotel owner, celebrity chef, town mayor. You might be tired but you cannot be dull or cranky. 11.15pm Walk back to the hotel. 1.00 am What? 1.00am already? Time to sleep- you’ve got only five or six hours left unless it’s time to repeat. Meeting Medieval Music artists at Millstatt Abbey just before a concert in Austria. Can you tell my day began at 7.00am and involved 8+ hours on the bus traveling between two countries? And this isn’t even the majority of the work expected of you. You’ve spent every spare minute on the bus working on your notes, and editing and posting photos and updates but the fact is that you still have to deliver the content you’ve promised, whether that’s X number of blog posts, edited images, articles for their website, videos or a combination of all of these. So it’s no surprise that many many travel bloggers (even the most well-known ones) don’t do press trips. It’s simply isn’t their style of traveling and for them it takes the joy out of the whole deal of going somewhere new. So they focus their energies on earning an income through affiliates, partnerships, sponsored content or freelancing and use that money to travel where and how they like. Personally, I enjoy press trips. I don’t mind the rushed hours and lack of sleep every once in a while if it helps me explore places in ways I could not do on my own. But press trips are not my only way to travel. I always have plenty of downtime and slow travel between two press trips. Keeps the balance, my sanity and love of travel in tact. Plus I’ve been very lucky to have gone on press trips that were sensibly designed by people (Thanks, Silvia of Emilia Romagna Tourism) who understood that it’s important to travel deeper than to travel fast. But how do you get on Press Trips? That seems to be the question, doesn’t it? How do you find them? How do they find you? How can you apply? Sign up with blogger platforms like BloggerBridge, and be a part of communities such as Travel Blog Success, Travel Massive and Matador Marketplace so you can view opportunities on their Opportunity Boards when they’re listed and apply. Send letters of introduction and your media kit to PR companies that have a lot of travel, tourism and hospitality clients in their portfolios. That way you’ll get relevant travel industry news from time to time and they will get in touch in case a client of theirs is looking for bloggers or influencers for a press trip. If you’re open to working with brands, boards and companies within your city, request an in-person meeting and talk about how you can bring value to their objectives. Attend travel fairs and conferences such as TBEX, WTM London, ITB, and ATM (Arabian Travel Market). Use the opportunity to network, introduce yourself to travel brands, and attend speed networking sessions. And here’s what worked for me the most- work on creating such high quality content that brands, PR reps and tourism boards reach out to you instead of you reaching out to them. This is a slow and steady strategy versus ‘I want to be an overnight hit’ strategy. Most travel bloggers do an extensive amount of research about everything, when they’re first starting off. I know this from experience and doing all of that research on approaching sponsors can make it seem like it’s only the biggest, most famous and ‘celebrity’ travel bloggers who get to work with brands. When you’re still just a somebody (because you’re never ever a nobody), it can seem incredibly daunting to send off that first email to approach someone. But you’re a travel blogger and you know that it’s always the first step that’s the hardest. When a blogger might decide to reach out to a brand is something that varies widely and there are probably as many opinions about this as there are bloggers. I first started to work with brands in 2014 and it was only after I felt confident about my brand, reach, engagement and the value of what I could offer them. You might not have hundred thousands of page views a month and it may come as a surprise to some but not all brands are plainly looking at this one statistic that holds many of us back. More and more brands are now looking at engagement and how your audience connects to you. Maybe you have a solid community on your Facebook page and every post gets a lot of likes, shares and engagement or perhaps your Instagram game is really strong. A side note on Facebook- the social media bane for many bloggers who have their own pages, I recently bought this course by Brittany Ann to improve my Facebook page, applied many of her strategies and already can see solid results. Who’s to say what can happen if I keep up the momentum of my effort! Plus, if you’ve got additional skills such as writing, photography, videos or social media consulting, then it helps to put these on the table in addition to the humble reach of your blog, while negotiating with a brand. In my case, I’m a freelance writer and photographer, so destinations that work with me or invite me also have the scope to be featured in print and online travel publications- that comes as a nice bonus on top of the features on my blog and social media channels. Invest in yourself, work on your skills, and practice your craft so you can master it. That said, it’s absolutely crucial that you get realistic about your own strengths and limitations, work on your weaknesses and invest in yourself. If you like writing, don’t remain a mediocre writer and don’t be okay with it. If you brand yourself as a photographer, find an online course or one in your city, buy a decent camera, watch tutorials, get off auto settings and master your craft. You’re not going to find success with sponsorships or partnerships unless your content can prove your skills. Over the years I’ve taken writing, blogging, social media, and photography courses and this has directly affected the quality of my content and my ability to attract freelance work as well as sponsorships. You could feel ready to approach a brand within six months of starting your blog or within two years. There isn’t a one-size-fits-all concept and don’t mistake wanting free stuff or to get sponsored with being ready. It’s not about what you want, but about what you can offer and if the value of that matches with the value of what you’re asking for. And if you’re starting a blog to get free stuff or solely to be sponsored, then God help you because you’d need to be really lucky to make that work. It pays to start small, ensure you have a successful campaign and a happy client and assess if you enjoy working with brands. Approaching a brand is not rocket science and often all it takes is an email introducing yourself and detailing your pitch. If you’re trying to woo a brand that is in the same city or town as you, then be proactive and try to follow up that email with an in-person meeting because it helps for your point of contact to know the face behind the blog. If you’re not sure about who you need to contact and if an extensive Google search does not bring up results, then send the company a tweet or Facebook message asking them whom you can contact. Most brands will have a social media team or person who will happily provide you with this information. Begin with a brief introduction about yourself and your blog and the reason why you’re reaching out to them. Be specific and give them all the information they would need to make a decision. If you’re comfortable sharing stats from Google Analytics, then feel free to do so but if you’re not, then there’s nothing wrong with sharing details that you are comfortable with. If a brand really wants to know your stats, they will ask for it anyway. Spell out as clearly and in as much detail as possible what you can offer them, whether it’s a review post, content for their website, photography, videos and/or social media promotion. It pays to think-out-of-the-box and offer something that builds on your other skills. For example, it may be that a heritage hotel may have hosted bloggers who did simple reviews, but none of them told the story about the history of the building and how it ties to that of the town, marketing it as something of a historic institution. It pays to heed the advice ‘Under-promise and over-deliver’. Highlight your past work and any related mention-worthy achievements (such as readers’ comments, increase in brand engagement or growth in page views, or websites where you’ve been published). But don’t lie or exaggerate because most people can see through that. In my opinion, the art of a good pitch lies in perfecting the balance between highlighting your achievements and seeming like an arrogant idiot with an unrealistic sense of entitlement. If you’ve got a Media Kit, (and you should have one ready before you approach a brand), send that along with your email. It shows that you’re professional. Encourage them to come back to you with any questions or information and be open to meeting them over Skype or in-person if you’re in the same city or town. A side note on Media Kits: I make mine on Canva and update it every month. Canva is a really great free program that you can use to design your Media Kit, business card, and Pinterest pins. Really easy to use and quick with tons of ready templates- I love Canva! Whether or not you get a positive response, stay positive. Remember that a rejection is not personal and there are tons of companies that are still out there. It’s only a matter of time that you’ll find someone to work with who is just as enthusiastic about working with you. If you do get a brand’s attention and they seem eager to take things forward, remember to stay humble and reasonable. Be professional and courteous and deliver on your promises in time. And don’t every mistake yourself for a celebrity because in this day of short attention spans and scanning over Facebook feeds, no one remains a superstar forever. You’re only worth following as long as you create helpful, interesting and engaging content, and you’ll only do that as long as you’re a focused professional. Maybe some people get away with countless selfies of themselves and no real content, but that is usually a temporary phase- just until someone calls them out and someone talented replaces them. Working with brands, at least in the beginning may take some hustling and reaching out. Don’t be afraid to put yourself out there and don’t let a bunch of numbers control your self-confidence. By all means, set goals and work towards improving them but don’t underestimate yourself. If you’re curious about how I work with brands, go here to see examples of past campaigns and press trips and see how I partner with brands. Are you a travel blogger and have you ever worked with brands? How did you feel when you first reached out and how was the experience? What advice would you give to bloggers just starting out? If you’re just starting to work with brands or are thinking of approaching them, what challenges are you facing? These are such great tips! Thank you so much for the confidence to just get started and do it. That’s very encouraging a read! I take home some tips from this article which I can’t wait to put to use! Wow, what a detailed, informative post! I have only been on one FAM trip and done a handful of sponsored stays/activities, but I can definitely vouch for the fact that’s it’s WORK. I really enjoyed the FAM trip I went on, though. For a few days it’s a fun way to see somewhere new. I definitely wouldn’t like to travel that way all the time, though! If I decide to actively seek out new sponsorships and press trips I will absolutely be referring back to your post! Thank you! Good luck Eva! I am glad you found it useful. Thank you so much. I’m a new blogger and this is great advice for turning a passion and hobby into a career. I sometines feel like it won’t happen for me but you give me hope and tools. Thank you. Good luck Kelly! It will happen but believe me do it for yourself and your readers more than anything else. To work towards fame can often be soul sucking and that is why many bloggers quit early on, so keep at it! This is so helpful! I’ve been wanting to do this, but never really knew how. Even if you’re a full time travel blogger, that does not necessarily mean you only travel on press trips. So many professional full time bloggers do not do press trips as a policy but make enough money to travel independently. Awesome post! Thank you so much for sharing your tips. I’m a travel blogger too and I’ve just worked with a few brands but excited about the possibility of working with more. This blog post is amazing! I just started my travel blog, and I am completely blown away by the blogging world. All the opportunities and things that you have to keep track of. This is a massive help! Thank you so much! I am glad you found it useful. Good luck!